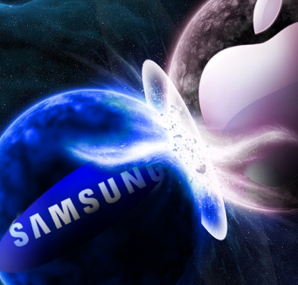 According to a research firm, Strategy Analytics, when it comes to worldwide sales the iPhone 5 did better than the Samsung Galaxy S3 in the fourth quarter. The main reason for this is because more than 26 million iPhone 5 units were shipped out during the fourth quarter. This is also the first time since the iPhone 5 has been able to grab the top spot since it has first launched.There is no doubt in anyone’s mind that the new iPhone 5 has brought Apple a lot of profits, just as the Galaxy S3 has probably reached its peak, at least when it comes to mass adoption. Another thing that is worth mentioning is that the iPhone 4S also out performed the Galaxy S3 in the same quarter. In the fourth quarter only 15.4 million Galaxy S3’s were shipped out, while more than 17 million iPhone 4s units were moved. Another amazing thing is that in the fourth quarter the iPhone models made up for 1 in 5 of all smartphones that were sold worldwide. This means that as of now the iPhone models are the most popular smartphones on the market today.Apple and Samsung are no strangers when it comes to competing for the top spot. It was just last year when the Galaxy S3 took the top spot. One thing is for certain and that is when sales figures come out, companies up their game and come out with great product that can really help them boost their profits. With that said, it is a safe bet to say that Samsung has something planned and will fire back with something that will increase their chances of selling the most units. In matter of fact, there is much speculation that the company is going to be coming out with the Galaxy S4. However, some people think that they will release another smartphone. No matter what smartphone the company releases, it will need to stack up to the iPhone models. Another thing is for certain, and that is if Apple decides to release another smartphone or smartphone device within the next year or two, then the company stands a very good chance at being number one again, and staying at the top position for quite sometime. Another thing that is for sure, is that Samsung and Apple will probably enjoy making a lot of profit in the next sales quarter.